The term ‘Asian American’ was meant to create a collective identity. What does that mean in 2018? Rain pools in the seats of folding chairs arranged haphazardly near an outdoor stage. 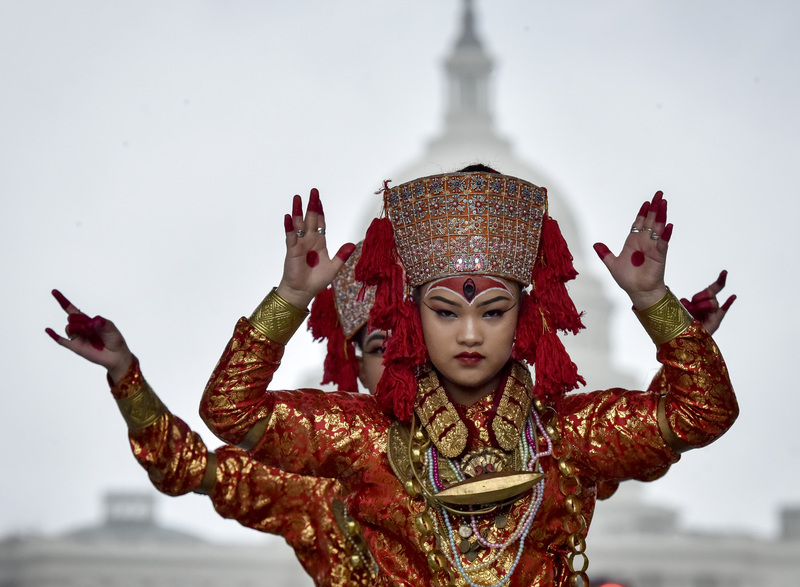 Parents, huddling under umbrellas, had pushed the chairs aside, determined to get photographs of their children performing a traditional Filipino dance against the backdrop of the U.S. Capitol. An announcer thanks the families for spending their Saturday afternoon this way, despite the inclement weather. “Anyway, for Asians, this is a blessing,” she says of the rain. 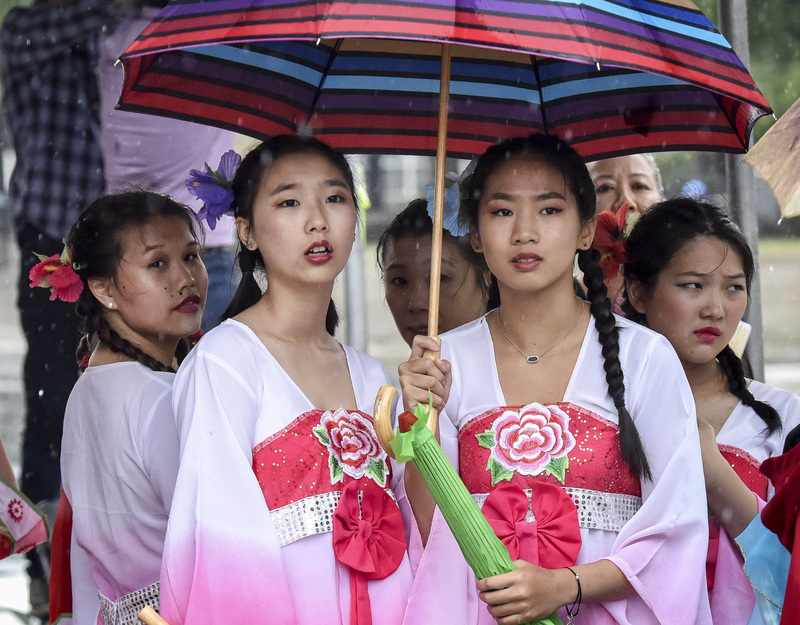 Such sweeping statements are true to the nature of Fiesta Asia, an annual festival held in Washington that aims to broadly celebrate Asian heritage in the United States — essentially, commemorating the “Asian American” experience. That term — Asian American — encompasses dozens of distinct ethnic identities, which, in our labels-obsessed era, has splintered the community’s attitudes toward it. Some appreciate being lumped into the collective, while others question its utility. Uncertainty remains: What does it actually mean to identify as Asian American in 2018? Melissa dela Cuesta stands under one of the many tents at Fiesta Asia, dressed in a purple dress with puffy sleeves. She wears a sash across her torso denoting her place as second runner-up in a Miss Teen Philippines pageant and looks surprised when asked how she would identify herself. Isn’t the answer obvious? “I am Filipino American,” declares the 17-year-old. The explanation gushes out: She is “in love” with her culture and feels as though it influences every aspect of her being. She doesn’t understand why anyone would reject their ethnic identity, especially with their skin color as evidence. She proudly calls herself “morena,” a Spanish word used in the Philippines to describe women with darker skin and hair. This isn’t uncommon among first-generation Americans, according to sociologist Dina Okamoto. If someone were to ask them the dreaded “But where are you really from?” question, the answer would most likely be the country their parents came from, not the continent. About two-thirds of Asian Americans identify primarily with their specific ethnicity, according to the research organization AAPI Data. In the past, it was targeted discrimination that motivated the strong connections to their family’s country of origin. When Japanese Americans were incarcerated during World War II, for example, some Chinese Americans wore buttons or carried signs that stated their ethnicity so they wouldn’t meet the same fate. A pan-ethnic identifier would have made little sense to them. But that changed in 1968, when activist and historian Yuji Ichioka coined the term “Asian American” to serve as what Okamoto now calls a “rallying cry to build this broad, collective identity around.” He had witnessed the success of the Black Power movement, she says, and felt communities with Asian roots could also benefit from embracing their shared history. Calling yourself Asian American meant rejecting the derogatory “Oriental” label in favor of self-definition. It meant discovering a sense of kinship in a population that remained quite small until the 1965 Immigration and Nationality Act loosened quotas set in place for non-European immigrants. And especially after the 1982 killing of Vincent Chin, a Chinese American man beaten to death by white autoworkers upset by competition from Japanese manufacturers, it meant banding together to combat widespread injustice. Nicholas Lach, waiting for a Korean barbecue food truck parked at Fiesta Asia to prepare his lunch, says he would call himself Asian American because, as he puts it, "I'm Asian. I'm in America. That's just how it works." He was born to Cambodian refugees in Minnesota who "were just fortunate enough to find someone that nice to sponsor a random family," he continues. "It's crazy, thinking about it." Instead of protesting on the streets, Asian Americans now try to gain power from within institutions, Okamoto says. The broad term is used to describe offices such as the White House Initiative on Asian Americans and Pacific Islanders, reestablished in 2009 to collect data on the fastest-growing racial group in the country. When referenced regarding the fight for more representation in Hollywood, actors such as John Cho and Constance Wu are generally described as Asian American, rather than Korean American and Taiwanese American, respectively. 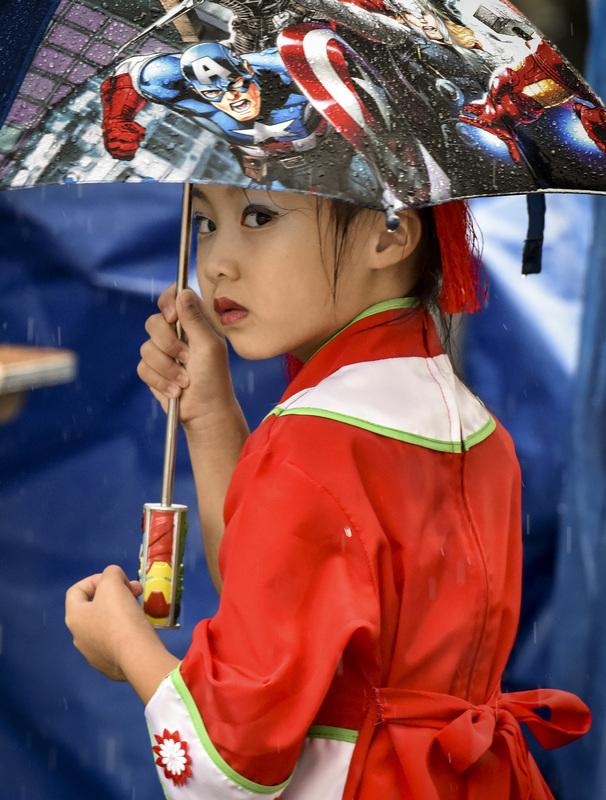 Brynn Hobelman, also waiting in the rain at Fiesta Asia, chats about her childhood fascination with South Korea. Her parents always encouraged her to explore her heritage after adopting her from the country as a baby. She so immersed herself in the Korean culture that, when she recently said she was from Asia, an acquaintance stopped her. It isn’t always an either/or situation, says Jenn Fang, 36, founder of the blog Reappropriate, who identifies as both Asian American and Chinese American. She says the broad term is popular among civic-minded college students who are taught its activist roots in their coursework. If you’re lucky, she says, you might have read a paragraph or two about Japanese American internment camps or the Chinese Exclusion Act in high school. This particular course at Cornell had a 300-page textbook on Asian American history. Sonia Rao is a pop culture reporter. She attended Boston University and wrote for the Boston Globe before coming to The Post as a Style intern in 2017. She officially joined the features department in 2019.